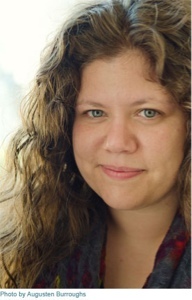 Rainbow Rowell is the author of ATTACHMENTS. She has two novels coming out in 2013 -- ELEANOR & PARK in February and FANGIRL in the fall. Rainbow lives with her husband and two sons in Omaha, Nebraska. Right at this moment, she is probably arguing with someone about something that doesn't really matter in the big scheme of things -- or trying to figure out how Sherlock faked his death. Blog and other stuff at rainbowrowell.com. I must start out by saying that when I read this book a month ago, it had been years since I had read a book that was not fantasy, science fiction, or some sort of supernatural. A while back I decided that books without a touch of the fantastic to them were not worth my time and that I just was not a fan of contemporary or literary fiction. That’s when I came across this book. I had heard so much hype about this book and read so many good reviews I decided to give it a try. I did not realize it at the time, but this decision would change my life. Well, my reading life anyway. I fell in love with this book, and in turn, fell in love with contemporary and romance novels again. The characters are so raw and real. I could relate to both Eleanor and Park on various levels. Their love story is epic and beautiful, but not in the least bit cheesy. The writing is beautiful in its deceptive simplicity. The story is well paced and organized so that it grabs you in from the first page and does not let you go until that last hopeful page. I also could not write a review about this book without mentioning how much I love the 80’s references throughout the book. Those references brought me back and dropped me right into the world of Eleanor and Park. This book was equal parts happy and hopeful, sad and heartbreaking. There was a feeling of doom throughout the whole book, yet Rowell still kept me rooting for the characters and their strange and somewhat flawed love. The ending of the book was a perfect representation of the novel as a whole. It is both devastating and hopeful. It made me cry, but I couldn’t exactly decide whether they were tears of joy or sadness. The ending was definitely open to interpretation and I would not have wanted it any other way. A happily ever after ending would have gone against the brutal realism of the story, while a sad ending would be a betrayal to the beautiful love story. The bottom line is I loved this book and I cannot wait to read what Ms. Rowell publishes next. Believe the hype. This is a powerful book.